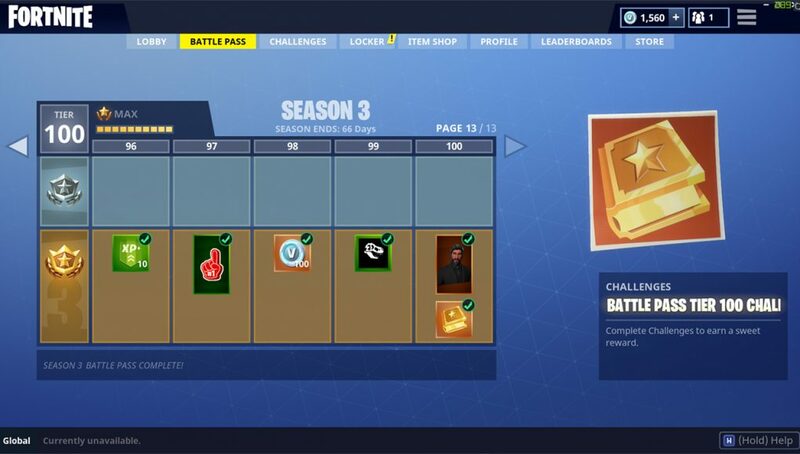 With the release of Season 3, you may have noticed there is a second item unlocked at Tier 100 named ‘Battle Pass Tier 100 Challenges’ (image above) which promises a sweet reward to anyone who completes them. 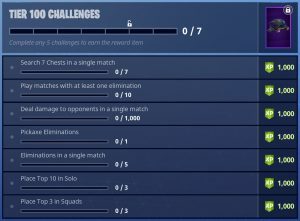 You only have to complete 5 of the 7 challenges to earn your reward, so choose the ones that sound easiest for you. When you’re done, you will unlock a new glider: High Octane! Though it’s not the most fancy reward, it’s exciting that Epic are introducing new items that you have to work towards through challenges as opposed to simply paying with V-Bucks. Hopefully we’ll see more of this in the future!